Come See Philly's Coolest Dessert Cafe. Ice cream will never be the same. 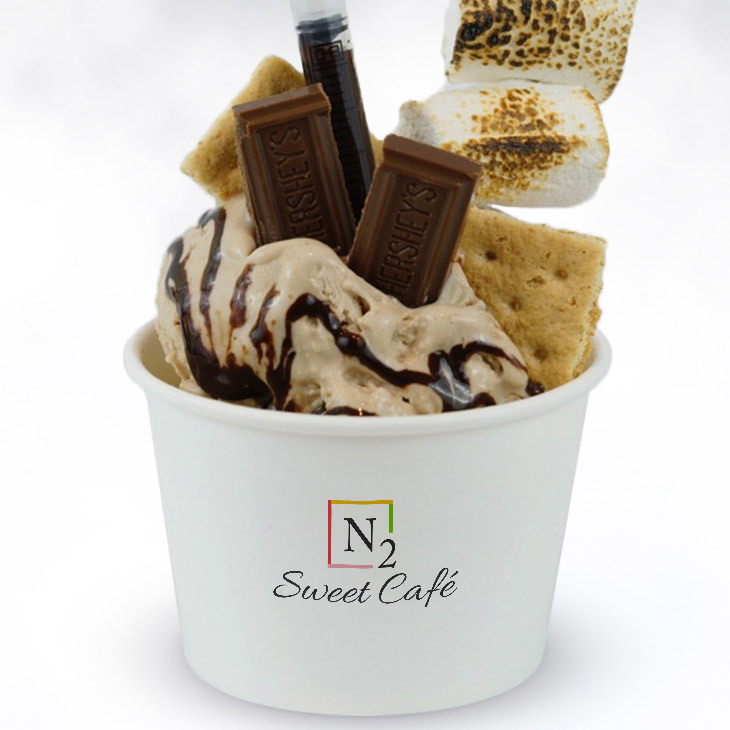 N2 Sweet Cafe uses a special process to make ice cream so smooth and creamy you have to taste it to believe it. We use liquid nitrogen to freeze our ice cream almost instantly. This means smaller ice crystals and a smoother, creamier product. Who knew science could be so delicious? 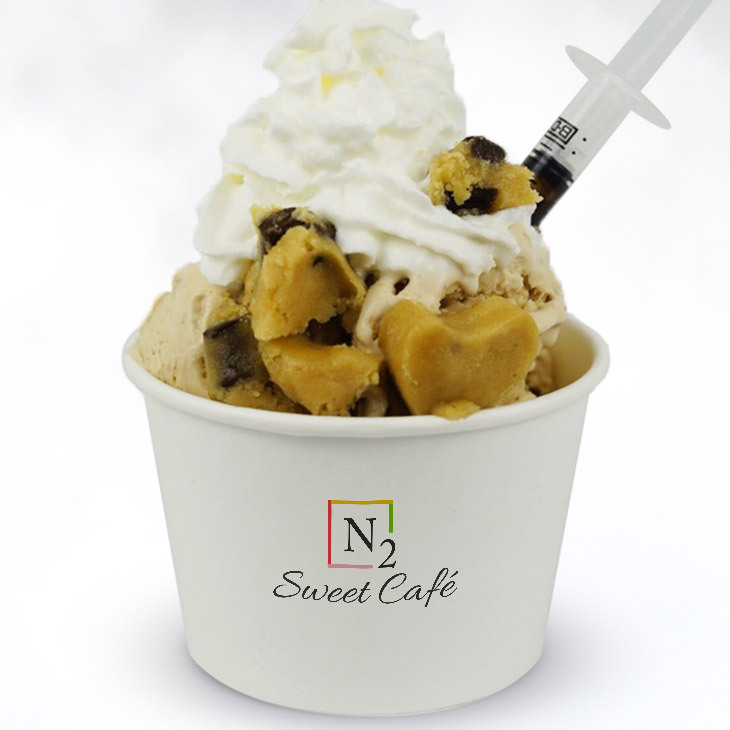 Choose from our signature flavors with tasty toppings like Oreo pieces, soft bites of cookie dough, Hershey’s chocolate, graham crackers, whipped cream or even a dash of green tea powder. We are located next to the PA Convention Center in Philadelphia (click here for directions). Bring yourself, your family, or a date and enjoy a special dessert experience! All of our signature or create-your-own flavors are only $7 (tax included). A true ice cream classic. The taste of campfire stories and outdoor fun. A cup of Joe in every bite! Your sweet dream has come true! This “golden nugget” will make you smile! Teach your taste buds the fine art of chocolate/peanut butter madness. Toppings: Chocolate chip cookie dough, chocolate stick, whipped cream and premium chocolate drizzle. Also available: Eskimo Kisses, Volcano Slice and Chocolate Chip Cookie Dough and more. Stop by to see our latest specials! 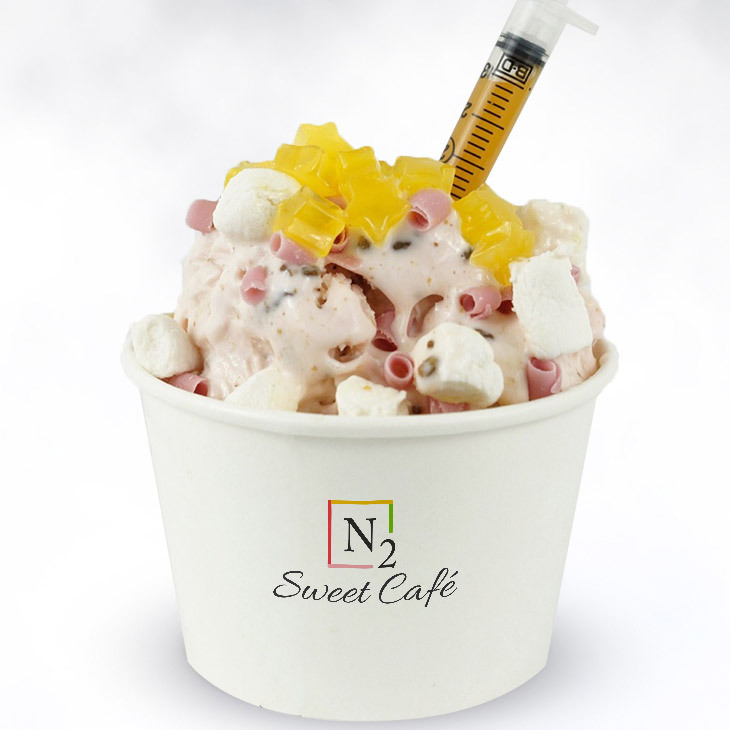 Mon to Thursday - 11:30 a.m. to 11:00 p.m.
Is liquid nitrogen ice cream safe to eat? The good thing about Nitrogen is it’s non-toxic, safe to eat and actually makes up 75% of the air we breathe. To give you an idea...the average winter temperature in Philly is 41 degrees. Dry ice is -109 degrees. Liquid nitrogen is a whopping -320 degrees Fahrenheit. That’s cold. Can I create my own ice cream combinations? Sure! Choose up to 3 toppings and even get your ice cream made with a non-fat yogurt base.